UHS stands for University of Health Sciences, it is a public university operating from Lahore. It is normally known as best research university with a mission to improve health care facilities in Pakistan. UHS is also a regulatory authority for admissions in Punjab. All those students who want to take admission in medical or dental colleges should appear in MCAT. MCAT test consist of 220 MCQ’s divided into four subjects Physics, Chemistry, Biology and English. MCAT entry test is very difficult and students need to work relay hard in order to secure their admission in public sector. This entry was posted in UHS MCAT and tagged Best way to prepare for UHS MCAT, Changes in UHS MCAT Syllabus, chemistry mcat, chemistry mdcat, Dental Entry Test UHS, Dow University of Health Sciences (DUHS), download UHS MCAT Papers, download UHS MDCAT Papers, Download UHS Past Papers, How to Prepare for UHS MCAT?, MCAT, MCAT answer key, MCAT answer key 2017, MCAT answer keys, MCAT answer keys 2017, MCAT English syllabus, MCAT entry test, mcat format, mcat mcqs, MCAT Merit list, mcat result, MCAT sample physics question, MCAT sample question, mcat score, MCAT test, MCAT test answer key, MCAT test answer key 2017, MCAT test answer keys, MCAT test answer keys 2017, MDCAT, MDCAT 2017, MDCAT answer Key, MDCAT answer Key 2017, MDCAT answer Keys, MDCAT answer Keys 2017, MDCAT Biology, MDCAT Biology explained MCQs, MDCAT Biology MCQs, MDCAT Chemistry, MDCAT Chemistry explained MCQs, MDCAT Chemistry MCQs, MDCAT English explained MCQs, MDCAT English MCQs, MDCAT English syllabus, MDCAT entry test, MDCAT explained MCQs, MDCAT Merit list, MDCAT New Syllabus, MDCAT online MCQS, mdcat result, mdcat score, MDCAT solved MCQs, MDCAT solved papers, MDCAT test answer Key, MDCAT test answer Keys, MDCAT test answer Keys 2017, New UHS MCAT Syllabus, Ounjab private sector second merit list, Past Papers UHS MCAT, Past Papers UHS MDCAT, Preparation of Document for UHS MCAT, punjab mcat, Punjab MCAT 2015 Online Preparation, Punjab MCAT Biology MCQs, Punjab Mcat format, punjab mcat mcqs, punjab mcat merit list, Punjab MCAT Past Papers, Punjab Mcat result, PUNJAB MCAT Score, Punjab MCAT Solved Papers, Punjab MDCAT Biology MCQs, Punjab MDCAT Chemistry MCQs, Punjab MDCAT English MCQs, Punjab MDCAT Physics MCQs, Punjab Medical Admission UHS, punjab second merit list, Punjab UHS MCAT, Punjab UHS MCAT Syllabus, punjabmcat, Sample UHS MCAT MCQs, Solved UHS MCAT past papers, UHS, UHS Admission, UHS Admissions, uhs answer key, uhs answer key 2017, uhs answer keys, UHS Biology MCQs, UHS Chemistry MCQs, UHS Chemistry New Syllabus, UHS Chemistry Syllabus, UHS Entry Test, UHS Fee, UHS MCAT, UHS MCAT 2013, UHS MCAT 2014, UHS MCAT 2017, UHS MCAT Aggregate Score, UHS MCAT Biology MCQs, UHS MCAT Chemistry MCQs, UHS MCAT Dates, UHS MCAT Documents, UHS MCAT English MCQs, UHS MCAT MCQs, UHS mcat merit list, UHS MCAT Online Preparation, UHS MCAT Past Papers, UHS MCAT result, UHS MDCAT, UHS MDCAT 2017, UHS Physics MCQs, UHS punjab merit list, UHS result, UHS secont merit list, UHS test answer key, UHS test answer key 2017, UHS test answer keys, UHS test answer keys 2017, UHS Test format, UHS test result on March 29, 2019 by Pakprep.com Admin. Medical and Dental College Admission Test (MDCAT) which is also known as “MCAT” is a standardized Test conducted by the University of Health and Sciences (UHS) in admission Lahore. 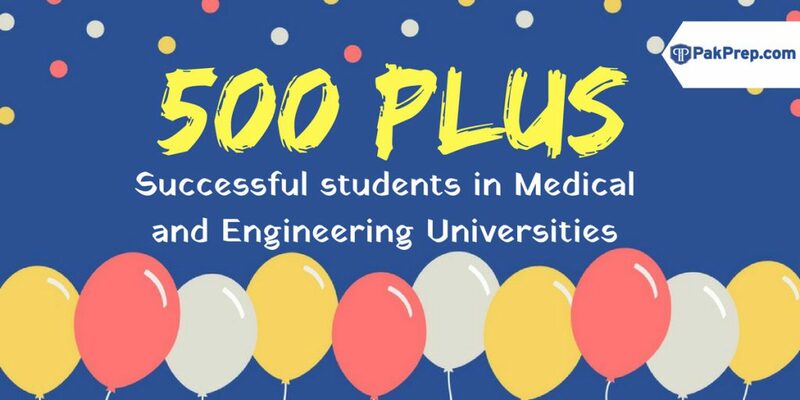 Pakistan Medical and Dental Council (PM and DC) has directed this two and half i.e (150) minutes paper based test to be held once a year and is mandatory for candidates to be able to take admission in ‘MBBS’ and ‘BDS’ degree programs in all the Private and Public Sector Medical and Dental Institutions. Pakprep.com provides you a platform where you can study as well as clear your concepts in a proper way by the given explanations. Pakprep.com contains over 15000 solved quality MCQ’s along with their explanation. Smart analytics will keep a log of all your mistakes so that you can revise them just before your actual test. 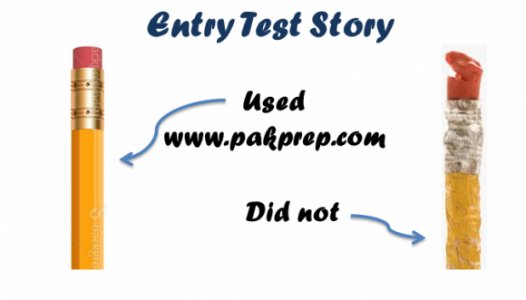 Pakprep.com also provides facility of MOCK test which helps our students to analyze their current situation in a better way. 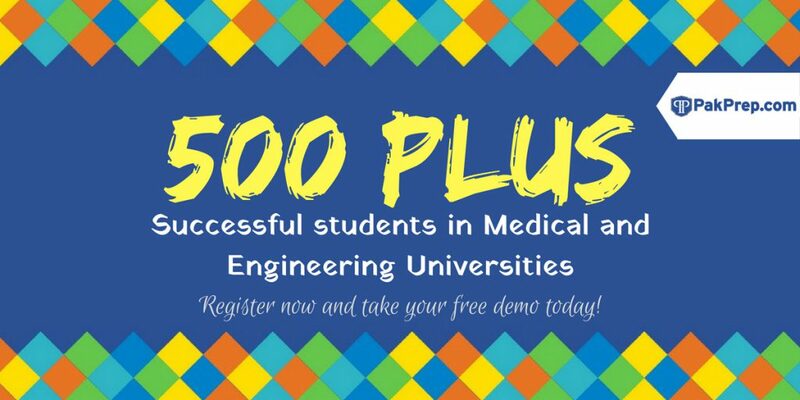 To start your preparation today for any medical or engineering university please CLICK HERE. This entry was posted in MDCAT and tagged Best way to prepare for UHS MCAT, chemistry mcat, chemistry mdcat, colleges affiliated with UHS, Dental Entry Test UHS, download UHS MCAT Papers, download UHS MDCAT Papers, Download UHS Past Papers, How to Prepare for Punjab MCAT, How to Prepare for Punjab MDCAT, How to Prepare for UHS MCAT?, how to prepare mcat, how to prepare mdcat, How to prepare Punjab Mcat UHS, How to prepare PUNJAB UHS Mcat, Important Biology Topics Punjab MCAT, Important Biology Topics Punjab MDCAT, Important Chemistry Topics Punjab MCAT, Important Chemistry Topics Punjab MDCAT, Important Chemistry Topics UHS MCAT, Important English Topics Punjab MCAT, Important English Topics Punjab MDCAT, important mcat topics, important mdcat topics, Important Physics Topics Punjab MCAT, Important Physics Topics Punjab MDCAT, MCAT, MCAT English syllabus, MCAT English syllabus 2017, MCAT entry test, mcat format, mcat mcqs, MCAT Merit list, MCAT New Syllabus, mcat result, mcat score, MDCAT, MDCAT 2017, MDCAT Biology, MDCAT Biology explained MCQs, MDCAT Biology MCQs, MDCAT Chemistry, MDCAT Chemistry explained MCQs, MDCAT Chemistry MCQs, MDCAT English explained MCQs, MDCAT English MCQs, MDCAT English syllabus, MDCAT entry test, MDCAT explained MCQs, mdcat format, mdcat mcqs, MDCAT Merit list, MDCAT New Syllabus, MDCAT online MCQS, MDCAT Physics, MDCAT Physics explained MCQs, MDCAT PhysicsMCQs, mdcat result, MDCAT Sample Biology Questions, mdcat sample questions, mdcat score, MDCAT solved MCQs, MDCAT solved papers, MDCAT syllabus, MDCAT syllabus 2017, New Physics Syllabus for UHS MCAT, New UHS MCAT Syllabus, Past Papers UHS MCAT, Past Papers UHS MDCAT, Preparation of Document for UHS MCAT, programs offered by affiliated colleges, Punjab MCAT Biology MCQs, Punjab MCAT Chemistry MCQs, Punjab MCAT English MCQs, Punjab MCAT Physics MCQs, Punjab MDCAT Biology MCQs, Punjab MDCAT Chemistry MCQs, Punjab MDCAT English MCQs, Punjab MDCAT Physics MCQs, Punjab Medical Admission UHS, Punjab UHS MCAT, Punjab UHS MCAT Syllabus, Punjab UHS Medical Test, Sample UHS MCAT MCQs, solved UHS MCAT MCQs, Solved UHS MCAT past papers, UHS, UHS Admission, UHS Admissions, UHS AFFILIATED COLLEGES, UHS affiliated colleges programs, UHS Biology MCQs, UHS Chemistry MCQs, UHS Chemistry New Syllabus, UHS English MCQs, UHS English Syllabus, UHS English Syllabus 2017, UHS Entry Test, UHS Fee, UHS MCAT, UHS MCAT 2013, UHS MCAT 2014, UHS MCAT 2015, UHS MCAT 2016, UHS MCAT 2017, UHS MCAT Aggregate Score, UHS MCAT Biology MCQs, UHS MCAT Dates, UHS MCAT English MCQs, UHS MCAT Entrance Test, UHS mcat merit list, UHS MDCAT, UHS MDCAT 2017, UHS MDCAT Aggregate Score, UHS MDCAT Biology MCQs, UHS MDCAT Dates, UHS MDCAT English MCQs, UHS MDCAT Entrance Test, UHS Merit list 2016, UHS Past Papers, UHS result, UHS result 2016, UHS Syllabus, UHS Test format, UHS test result on March 27, 2019 by Pakprep.com Admin. This entry was posted in MDCAT and tagged Best way to prepare for UHS MCAT, chemistry mcat, chemistry mdcat, colleges affiliated with UHS, Dental Entry Test UHS, download UHS MCAT Papers, download UHS MDCAT Papers, Download UHS Past Papers, How to Prepare for Punjab MCAT, How to Prepare for Punjab MDCAT, How to Prepare for UHS MCAT?, how to prepare mcat, how to prepare mdcat, How to prepare Punjab Mcat UHS, How to prepare PUNJAB UHS Mcat, Important Biology Topics Punjab MCAT, Important Biology Topics Punjab MDCAT, Important Chemistry Topics Punjab MCAT, Important Chemistry Topics Punjab MDCAT, Important Chemistry Topics UHS MCAT, Important English Topics Punjab MCAT, Important English Topics Punjab MDCAT, important mcat topics, important mdcat topics, Important Physics Topics Punjab MCAT, Important Physics Topics Punjab MDCAT, MCAT, MCAT English syllabus, MCAT English syllabus 2017, MCAT entry test, mcat format, mcat mcqs, MCAT Merit list, MCAT New Syllabus, mcat result, mcat score, MDCAT, MDCAT 2017, MDCAT Biology, MDCAT Biology explained MCQs, MDCAT Biology MCQs, MDCAT Chemistry, MDCAT Chemistry explained MCQs, MDCAT Chemistry MCQs, MDCAT English explained MCQs, MDCAT English MCQs, MDCAT English syllabus, MDCAT entry test, MDCAT explained MCQs, mdcat format, mdcat mcqs, MDCAT Merit list, MDCAT New Syllabus, MDCAT online MCQS, MDCAT Physics, MDCAT Physics explained MCQs, MDCAT PhysicsMCQs, mdcat result, MDCAT Sample Biology Questions, mdcat sample questions, mdcat score, MDCAT solved MCQs, MDCAT solved papers, MDCAT syllabus, MDCAT syllabus 2017, New Physics Syllabus for UHS MCAT, New UHS MCAT Syllabus, Past Papers UHS MCAT, Past Papers UHS MDCAT, Preparation of Document for UHS MCAT, programs offered by affiliated colleges, Punjab MCAT Biology MCQs, Punjab MCAT Chemistry MCQs, Punjab MCAT English MCQs, Punjab MCAT Physics MCQs, Punjab MDCAT Biology MCQs, Punjab MDCAT Chemistry MCQs, Punjab MDCAT English MCQs, Punjab MDCAT Physics MCQs, Punjab Medical Admission UHS, Punjab UHS MCAT, Punjab UHS MCAT Syllabus, Punjab UHS Medical Test, Sample UHS MCAT MCQs, solved UHS MCAT MCQs, Solved UHS MCAT past papers, UHS, UHS Admission, UHS Admissions, UHS AFFILIATED COLLEGES, UHS affiliated colleges programs, UHS Biology MCQs, UHS Chemistry MCQs, UHS Chemistry New Syllabus, UHS English MCQs, UHS English Syllabus, UHS English Syllabus 2017, UHS Entry Test, UHS Fee, UHS MCAT, UHS MCAT 2013, UHS MCAT 2014, UHS MCAT 2015, UHS MCAT 2016, UHS MCAT 2017, UHS MCAT Aggregate Score, UHS MCAT Biology MCQs, UHS MCAT Dates, UHS MCAT English MCQs, UHS MCAT Entrance Test, UHS mcat merit list, UHS MDCAT, UHS MDCAT 2017, UHS MDCAT Aggregate Score, UHS MDCAT Biology MCQs, UHS MDCAT Dates, UHS MDCAT English MCQs, UHS MDCAT Entrance Test, UHS Merit list 2016, UHS Past Papers, UHS result, UHS result 2016, UHS Syllabus, UHS Test format, UHS test result on March 22, 2019 by Pakprep.com Admin. This entry was posted in UHS MCAT and tagged Best way to prepare for UHS MCAT, chemistry mcat, chemistry mdcat, colleges affiliated with UHS, Dental Entry Test UHS, download UHS MCAT Papers, download UHS MDCAT Papers, Download UHS Past Papers, How to Prepare for Punjab MCAT, How to Prepare for Punjab MDCAT, How to Prepare for UHS MCAT?, how to prepare mcat, how to prepare mdcat, How to prepare Punjab Mcat UHS, How to prepare PUNJAB UHS Mcat, Important Biology Topics Punjab MCAT, Important Biology Topics Punjab MDCAT, Important Chemistry Topics Punjab MCAT, Important Chemistry Topics Punjab MDCAT, Important Chemistry Topics UHS MCAT, Important English Topics Punjab MCAT, Important English Topics Punjab MDCAT, important mcat topics, important mdcat topics, Important Physics Topics Punjab MCAT, Important Physics Topics Punjab MDCAT, MCAT, MCAT English syllabus, MCAT English syllabus 2017, MCAT entry test, mcat format, mcat mcqs, MCAT Merit list, MCAT New Syllabus, mcat result, mcat score, MDCAT, MDCAT 2017, MDCAT Biology, MDCAT Biology explained MCQs, MDCAT Biology MCQs, MDCAT Chemistry, MDCAT Chemistry explained MCQs, MDCAT Chemistry MCQs, MDCAT English explained MCQs, MDCAT English MCQs, MDCAT English syllabus, MDCAT entry test, MDCAT explained MCQs, mdcat format, mdcat mcqs, MDCAT Merit list, MDCAT New Syllabus, MDCAT online MCQS, MDCAT Physics, MDCAT Physics explained MCQs, MDCAT PhysicsMCQs, mdcat result, MDCAT Sample Biology Questions, mdcat sample questions, mdcat score, MDCAT solved MCQs, MDCAT solved papers, MDCAT syllabus, MDCAT syllabus 2017, New Physics Syllabus for UHS MCAT, New UHS MCAT Syllabus, Past Papers UHS MCAT, Past Papers UHS MDCAT, Preparation of Document for UHS MCAT, programs offered by affiliated colleges, Punjab MCAT Biology MCQs, Punjab MCAT Chemistry MCQs, Punjab MCAT English MCQs, Punjab MCAT Physics MCQs, Punjab MDCAT Biology MCQs, Punjab MDCAT Chemistry MCQs, Punjab MDCAT English MCQs, Punjab MDCAT Physics MCQs, Punjab Medical Admission UHS, Punjab UHS MCAT, Punjab UHS MCAT Syllabus, Punjab UHS Medical Test, Sample UHS MCAT MCQs, solved UHS MCAT MCQs, Solved UHS MCAT past papers, UHS, UHS Admission, UHS Admissions, UHS AFFILIATED COLLEGES, UHS affiliated colleges programs, UHS Biology MCQs, UHS Chemistry MCQs, UHS Chemistry New Syllabus, UHS English MCQs, UHS English Syllabus, UHS English Syllabus 2017, UHS Entry Test, UHS Fee, UHS MCAT, UHS MCAT 2013, UHS MCAT 2014, UHS MCAT 2015, UHS MCAT 2016, UHS MCAT 2017, UHS MCAT Aggregate Score, UHS MCAT Biology MCQs, UHS MCAT Dates, UHS MCAT English MCQs, UHS MCAT Entrance Test, UHS mcat merit list, UHS MDCAT, UHS MDCAT 2017, UHS MDCAT Aggregate Score, UHS MDCAT Biology MCQs, UHS MDCAT Dates, UHS MDCAT English MCQs, UHS MDCAT Entrance Test, UHS Merit list 2016, UHS Past Papers, UHS result, UHS result 2016, UHS Syllabus, UHS Test format, UHS test result on March 20, 2019 by Pakprep.com Admin. National University of Health Sciences also known as UHS is a public university operating from Lahore. It is normally known as best research university with a mission to improve health care facilities in Pakistan. In order to take admission in medical or dental colleges, the students should appear in MCAT. MCAT test consist of 220 MCQ’s divided into four subjects Physics, Chemistry, Biology and English. To get admission in Public sector and private sector medical colleges of Punjab appearance in MDCAT test is mandatory. MCAT entry test is very difficult and students need to work really hard in order to secure their admission in public sector. This entry was posted in UHS MCAT and tagged Best way to prepare for UHS MCAT, Changes in UHS MCAT Syllabus, chemistry mcat, chemistry mdcat, Dental Entry Test UHS, Dow University of Health Sciences (DUHS), download UHS MCAT Papers, download UHS MDCAT Papers, Download UHS Past Papers, How to Prepare for UHS MCAT?, MCAT, MCAT answer key, MCAT answer key 2017, MCAT answer keys, MCAT answer keys 2017, MCAT English syllabus, MCAT entry test, mcat format, mcat mcqs, MCAT Merit list, mcat result, MCAT sample physics question, MCAT sample question, mcat score, MCAT test, MCAT test answer key, MCAT test answer key 2017, MCAT test answer keys, MCAT test answer keys 2017, MDCAT, MDCAT 2017, MDCAT answer Key, MDCAT answer Key 2017, MDCAT answer Keys, MDCAT answer Keys 2017, MDCAT Biology, MDCAT Biology explained MCQs, MDCAT Biology MCQs, MDCAT Chemistry, MDCAT Chemistry explained MCQs, MDCAT Chemistry MCQs, MDCAT English explained MCQs, MDCAT English MCQs, MDCAT English syllabus, MDCAT entry test, MDCAT explained MCQs, MDCAT Merit list, MDCAT New Syllabus, MDCAT online MCQS, mdcat result, mdcat score, MDCAT solved MCQs, MDCAT solved papers, MDCAT test answer Key, MDCAT test answer Keys, MDCAT test answer Keys 2017, New UHS MCAT Syllabus, Ounjab private sector second merit list, Past Papers UHS MCAT, Past Papers UHS MDCAT, Preparation of Document for UHS MCAT, punjab mcat, Punjab MCAT 2015 Online Preparation, Punjab MCAT Biology MCQs, Punjab Mcat format, punjab mcat mcqs, punjab mcat merit list, Punjab MCAT Past Papers, Punjab Mcat result, PUNJAB MCAT Score, Punjab MCAT Solved Papers, Punjab MDCAT Biology MCQs, Punjab MDCAT Chemistry MCQs, Punjab MDCAT English MCQs, Punjab MDCAT Physics MCQs, Punjab Medical Admission UHS, punjab second merit list, Punjab UHS MCAT, Punjab UHS MCAT Syllabus, punjabmcat, Sample UHS MCAT MCQs, Solved UHS MCAT past papers, UHS, UHS Admission, UHS Admissions, uhs answer key, uhs answer key 2017, uhs answer keys, UHS Biology MCQs, UHS Chemistry MCQs, UHS Chemistry New Syllabus, UHS Chemistry Syllabus, UHS Entry Test, UHS Fee, UHS MCAT, UHS MCAT 2013, UHS MCAT 2014, UHS MCAT 2017, UHS MCAT Aggregate Score, UHS MCAT Biology MCQs, UHS MCAT Chemistry MCQs, UHS MCAT Dates, UHS MCAT Documents, UHS MCAT English MCQs, UHS MCAT MCQs, UHS mcat merit list, UHS MCAT Online Preparation, UHS MCAT Past Papers, UHS MCAT result, UHS MDCAT, UHS MDCAT 2017, UHS Physics MCQs, UHS punjab merit list, UHS result, UHS secont merit list, UHS test answer key, UHS test answer key 2017, UHS test answer keys, UHS test answer keys 2017, UHS Test format, UHS test result on March 7, 2019 by Pakprep.com Admin. University of Health and Sciences (UHS) conduct test for Public sector and Private sector medical colleges of Punjab which is known as Medical and Dental College admission test (MDCAT). MDCAT is one of the biggest test in Pakistan. There are limited seats available in public and private sector medical colleges of Punjab and thousands of students appear in MDCAT test every year. MDCAT test consist of 220 MCQ’s from Biology, Physics, Chemistry and English. Only those students can get good marks in MDCAT test who clear concepts in details. This entry was posted in MDCAT and tagged Best way to prepare for UHS MCAT, chemistry mcat, chemistry mdcat, colleges affiliated with UHS, Dental Entry Test UHS, download UHS MCAT Papers, download UHS MDCAT Papers, Download UHS Past Papers, How to Prepare for Punjab MCAT, How to Prepare for Punjab MDCAT, How to Prepare for UHS MCAT?, how to prepare mcat, how to prepare mdcat, How to prepare Punjab Mcat UHS, How to prepare PUNJAB UHS Mcat, Important Biology Topics Punjab MCAT, Important Biology Topics Punjab MDCAT, Important Chemistry Topics Punjab MCAT, Important Chemistry Topics Punjab MDCAT, Important Chemistry Topics UHS MCAT, Important English Topics Punjab MCAT, Important English Topics Punjab MDCAT, important mcat topics, important mdcat topics, Important Physics Topics Punjab MCAT, Important Physics Topics Punjab MDCAT, MCAT, MCAT English syllabus, MCAT English syllabus 2017, MCAT entry test, mcat format, mcat mcqs, MCAT Merit list, MCAT New Syllabus, mcat result, mcat score, MDCAT, MDCAT 2017, MDCAT Biology, MDCAT Biology explained MCQs, MDCAT Biology MCQs, MDCAT Chemistry, MDCAT Chemistry explained MCQs, MDCAT Chemistry MCQs, MDCAT English explained MCQs, MDCAT English MCQs, MDCAT English syllabus, MDCAT entry test, MDCAT explained MCQs, mdcat format, mdcat mcqs, MDCAT Merit list, MDCAT New Syllabus, MDCAT online MCQS, MDCAT Physics, MDCAT Physics explained MCQs, MDCAT PhysicsMCQs, mdcat result, MDCAT Sample Biology Questions, mdcat sample questions, mdcat score, MDCAT solved MCQs, MDCAT solved papers, MDCAT syllabus, MDCAT syllabus 2017, New Physics Syllabus for UHS MCAT, New UHS MCAT Syllabus, Past Papers UHS MCAT, Past Papers UHS MDCAT, Preparation of Document for UHS MCAT, programs offered by affiliated colleges, Punjab MCAT Biology MCQs, Punjab MCAT Chemistry MCQs, Punjab MCAT English MCQs, Punjab MCAT Physics MCQs, Punjab MDCAT Biology MCQs, Punjab MDCAT Chemistry MCQs, Punjab MDCAT English MCQs, Punjab MDCAT Physics MCQs, Punjab Medical Admission UHS, Punjab UHS MCAT, Punjab UHS MCAT Syllabus, Punjab UHS Medical Test, Sample UHS MCAT MCQs, solved UHS MCAT MCQs, Solved UHS MCAT past papers, UHS, UHS Admission, UHS Admissions, UHS AFFILIATED COLLEGES, UHS affiliated colleges programs, UHS Biology MCQs, UHS Chemistry MCQs, UHS Chemistry New Syllabus, UHS English MCQs, UHS English Syllabus, UHS English Syllabus 2017, UHS Entry Test, UHS Fee, UHS MCAT, UHS MCAT 2013, UHS MCAT 2014, UHS MCAT 2015, UHS MCAT 2016, UHS MCAT 2017, UHS MCAT Aggregate Score, UHS MCAT Biology MCQs, UHS MCAT Dates, UHS MCAT English MCQs, UHS MCAT Entrance Test, UHS mcat merit list, UHS MDCAT, UHS MDCAT 2017, UHS MDCAT Aggregate Score, UHS MDCAT Biology MCQs, UHS MDCAT Dates, UHS MDCAT English MCQs, UHS MDCAT Entrance Test, UHS Merit list 2016, UHS Past Papers, UHS result, UHS result 2016, UHS Syllabus, UHS Test format, UHS test result on March 6, 2019 by Pakprep.com Admin. This entry was posted in NUST, UHS MCAT and tagged Best way to prepare for UHS MCAT, Changes in UHS MCAT Syllabus, chemistry mcat, chemistry mdcat, Dental Entry Test UHS, Dow University of Health Sciences (DUHS), download UHS MCAT Papers, download UHS MDCAT Papers, Download UHS Past Papers, How to Prepare for UHS MCAT?, MCAT, MCAT answer key, MCAT answer key 2017, MCAT answer keys, MCAT answer keys 2017, MCAT English syllabus, MCAT entry test, mcat format, mcat mcqs, MCAT Merit list, mcat result, mcat score, MCAT test, MCAT test answer key, MCAT test answer key 2017, MCAT test answer keys, MCAT test answer keys 2017, MDCAT, MDCAT 2017, MDCAT answer Key, MDCAT answer Key 2017, MDCAT answer Keys, MDCAT answer Keys 2017, MDCAT Biology, MDCAT Biology explained MCQs, MDCAT Biology MCQs, MDCAT Chemistry, MDCAT Chemistry explained MCQs, MDCAT Chemistry MCQs, MDCAT English explained MCQs, MDCAT English MCQs, MDCAT English syllabus, MDCAT entry test, MDCAT explained MCQs, MDCAT Merit list, MDCAT New Syllabus, MDCAT online MCQS, mdcat result, mdcat score, MDCAT solved MCQs, MDCAT solved papers, MDCAT test answer Key, MDCAT test answer Keys, MDCAT test answer Keys 2017, New UHS MCAT Syllabus, Ounjab private sector second merit list, Past Papers UHS MCAT, Past Papers UHS MDCAT, Preparation of Document for UHS MCAT, punjab mcat, Punjab MCAT 2015 Online Preparation, Punjab MCAT Biology MCQs, Punjab Mcat format, punjab mcat mcqs, punjab mcat merit list, Punjab MCAT Past Papers, Punjab Mcat result, PUNJAB MCAT Score, Punjab MCAT Solved Papers, Punjab MDCAT Biology MCQs, Punjab MDCAT Chemistry MCQs, Punjab MDCAT English MCQs, Punjab MDCAT Physics MCQs, Punjab Medical Admission UHS, punjab second merit list, Punjab UHS MCAT, Punjab UHS MCAT Syllabus, punjabmcat, Sample UHS MCAT MCQs, Solved UHS MCAT past papers, UHS, UHS Admission, UHS Admissions, uhs answer key, uhs answer key 2017, uhs answer keys, UHS Biology MCQs, UHS Chemistry MCQs, UHS Chemistry New Syllabus, UHS Chemistry Syllabus, UHS Entry Test, UHS Fee, UHS MCAT, UHS MCAT 2013, UHS MCAT 2014, UHS MCAT 2017, UHS MCAT Aggregate Score, UHS MCAT Biology MCQs, UHS MCAT Chemistry MCQs, UHS MCAT Dates, UHS MCAT Documents, UHS MCAT English MCQs, UHS MCAT MCQs, UHS mcat merit list, UHS MCAT Online Preparation, UHS MCAT Past Papers, UHS MCAT result, UHS MDCAT, UHS MDCAT 2017, UHS Physics MCQs, UHS punjab merit list, UHS result, UHS secont merit list, UHS test answer key, UHS test answer key 2017, UHS test answer keys, UHS test answer keys 2017, UHS Test format, UHS test result on February 26, 2019 by Pakprep.com Admin. This entry was posted in UHS MCAT and tagged Best way to prepare for UHS MCAT, Changes in UHS MCAT Syllabus, chemistry mcat, chemistry mdcat, Dental Entry Test UHS, Dow University of Health Sciences (DUHS), download UHS MCAT Papers, download UHS MDCAT Papers, Download UHS Past Papers, How to Prepare for UHS MCAT?, MCAT, MCAT answer key, MCAT answer key 2017, MCAT answer keys, MCAT answer keys 2017, MCAT English syllabus, MCAT entry test, mcat format, mcat mcqs, MCAT Merit list, mcat result, mcat score, MCAT test, MCAT test answer key, MCAT test answer key 2017, MCAT test answer keys, MCAT test answer keys 2017, MDCAT, MDCAT 2017, MDCAT answer Key, MDCAT answer Key 2017, MDCAT answer Keys, MDCAT answer Keys 2017, MDCAT Biology, MDCAT Biology explained MCQs, MDCAT Biology MCQs, MDCAT Chemistry, MDCAT Chemistry explained MCQs, MDCAT Chemistry MCQs, MDCAT English explained MCQs, MDCAT English MCQs, MDCAT English syllabus, MDCAT entry test, MDCAT explained MCQs, MDCAT Merit list, MDCAT New Syllabus, MDCAT online MCQS, mdcat result, mdcat score, MDCAT solved MCQs, MDCAT solved papers, MDCAT test answer Key, MDCAT test answer Keys, MDCAT test answer Keys 2017, New UHS MCAT Syllabus, Ounjab private sector second merit list, Past Papers UHS MCAT, Past Papers UHS MDCAT, Preparation of Document for UHS MCAT, punjab mcat, Punjab MCAT 2015 Online Preparation, Punjab MCAT Biology MCQs, Punjab Mcat format, punjab mcat mcqs, punjab mcat merit list, Punjab MCAT Past Papers, Punjab Mcat result, PUNJAB MCAT Score, Punjab MCAT Solved Papers, Punjab MDCAT Biology MCQs, Punjab MDCAT Chemistry MCQs, Punjab MDCAT English MCQs, Punjab MDCAT Physics MCQs, Punjab Medical Admission UHS, punjab second merit list, Punjab UHS MCAT, Punjab UHS MCAT Syllabus, punjabmcat, Sample UHS MCAT MCQs, Solved UHS MCAT past papers, UHS, UHS Admission, UHS Admissions, uhs answer key, uhs answer key 2017, uhs answer keys, UHS Biology MCQs, UHS Chemistry MCQs, UHS Chemistry New Syllabus, UHS Chemistry Syllabus, UHS Entry Test, UHS Fee, UHS MCAT, UHS MCAT 2013, UHS MCAT 2014, UHS MCAT 2017, UHS MCAT Aggregate Score, UHS MCAT Biology MCQs, UHS MCAT Chemistry MCQs, UHS MCAT Dates, UHS MCAT Documents, UHS MCAT English MCQs, UHS MCAT MCQs, UHS mcat merit list, UHS MCAT Online Preparation, UHS MCAT Past Papers, UHS MCAT result, UHS MDCAT, UHS MDCAT 2017, UHS Physics MCQs, UHS punjab merit list, UHS result, UHS secont merit list, UHS test answer key, UHS test answer key 2017, UHS test answer keys, UHS test answer keys 2017, UHS Test format, UHS test result on February 20, 2019 by Pakprep.com Admin. University of Health and Sciences (UHS) conduct test for Public sector and Private sector medical colleges of Punjab which is known as Medical and Dental College admission test (MDCAT). UHS has announced second merit list for Foreign / Self finance seats (MBBS). UHS conduct MDCAT test for MBBS & BDS admissions. There are limited seats available in public and private sector medical colleges of Punjab and thousands of students appear in MDCAT test every year. UHS (MDCAT) test consists of Chemistry, Physics, Biology and English MCQ’s. To get admission in Public sector and private sector medical colleges of Punjab appearance in MDCAT test is mandatory. Only those students can get good marks in MDCAT test who clear concepts in details. This entry was posted in UHS MCAT and tagged Best way to prepare for UHS MCAT, Changes in UHS MCAT Syllabus, chemistry mcat, chemistry mdcat, Dental Entry Test UHS, Dow University of Health Sciences (DUHS), download UHS MCAT Papers, download UHS MDCAT Papers, Download UHS Past Papers, foreign seats, How to Prepare for UHS MCAT?, MBBS third merit list, MBBS upgraded list, MCAT, MCAT answer key, MCAT answer key 2017, MCAT answer keys, MCAT answer keys 2017, MCAT English syllabus, MCAT entry test, mcat format, mcat mcqs, MCAT Merit list, mcat result, mcat score, MCAT test, MCAT test answer key, MCAT test answer key 2017, MCAT test answer keys, MCAT test answer keys 2017, MDCAT, MDCAT 2017, MDCAT answer Key, MDCAT answer Key 2017, MDCAT answer Keys, MDCAT answer Keys 2017, MDCAT Biology, MDCAT Biology explained MCQs, MDCAT Biology MCQs, MDCAT Chemistry, MDCAT Chemistry explained MCQs, MDCAT Chemistry MCQs, MDCAT English explained MCQs, MDCAT English MCQs, MDCAT English syllabus, MDCAT entry test, MDCAT explained MCQs, MDCAT Merit list, MDCAT New Syllabus, MDCAT online MCQS, mdcat result, mdcat score, MDCAT solved MCQs, MDCAT solved papers, MDCAT test answer Key, MDCAT test answer Keys, MDCAT test answer Keys 2017, New UHS MCAT Syllabus, Ounjab private sector second merit list, Past Papers UHS MCAT, Past Papers UHS MDCAT, Preparation of Document for UHS MCAT, punjab mcat, Punjab MCAT 2015 Online Preparation, Punjab MCAT Biology MCQs, Punjab Mcat format, punjab mcat mcqs, punjab mcat merit list, Punjab MCAT Past Papers, Punjab Mcat result, PUNJAB MCAT Score, Punjab MCAT Solved Papers, Punjab MDCAT Biology MCQs, Punjab MDCAT Chemistry MCQs, Punjab MDCAT English MCQs, Punjab MDCAT Physics MCQs, Punjab Medical Admission UHS, punjab second merit list, Punjab UHS MCAT, Punjab UHS MCAT Syllabus, punjabmcat, Sample UHS MCAT MCQs, Solved UHS MCAT past papers, Third merit lish UHS, Third merit list, UHS, UHS Admission, UHS Admissions, UHS announced second merit list, uhs answer key, uhs answer key 2017, uhs answer keys, UHS BDS third merit list, UHS Biology MCQs, UHS Chemistry MCQs, UHS Chemistry New Syllabus, UHS Chemistry Syllabus, UHS Entry Test, UHS Fee, UHS foreign seats merit list, UHS MCAT, UHS MCAT 2013, UHS MCAT 2014, UHS MCAT 2017, UHS MCAT Aggregate Score, UHS MCAT Biology MCQs, UHS MCAT Chemistry MCQs, UHS MCAT Dates, UHS MCAT Documents, UHS MCAT English MCQs, UHS MCAT MCQs, UHS mcat merit list, UHS MCAT Online Preparation, UHS MCAT Past Papers, UHS MCAT result, UHS MDCAT, UHS MDCAT 2017, UHS Physics MCQs, UHS punjab merit list, UHS result, UHS secont merit list, UHS test answer key, UHS test answer key 2017, UHS test answer keys, UHS test answer keys 2017, UHS Test format, UHS test result, UHS third merit list, UHS upgraded MBBS list on December 31, 2018 by Pakprep.com Admin. University of Health and Sciences (UHS) conduct test for Public sector and Private sector medical colleges of Punjab which is known as Medical and Dental College admission test (MDCAT). UHS has announced third merit list for private medical and dental colleges of Punjab. As expected merit in third list is also high and only those students are selected who worked hard throughout their academic carrier. UHS conduct MDCAT test for MBBS & BDS admissions. There are limited seats available in public and private sector medical colleges of Punjab and thousands of students appear in MDCAT test every year. UHS (MDCAT) test consists of Chemistry, Physics, Biology and English MCQ’s. To get admission in Public sector and private sector medical colleges of Punjab appearance in MDCAT test is mandatory. Only those students can get good marks in MDCAT test who clear concepts in details. This entry was posted in UHS MCAT and tagged Best way to prepare for UHS MCAT, Changes in UHS MCAT Syllabus, chemistry mcat, chemistry mdcat, Dental Entry Test UHS, Dow University of Health Sciences (DUHS), download UHS MCAT Papers, download UHS MDCAT Papers, Download UHS Past Papers, How to Prepare for UHS MCAT?, MBBS third merit list, MBBS upgraded list, MCAT, MCAT answer key, MCAT answer key 2017, MCAT answer keys, MCAT answer keys 2017, MCAT English syllabus, MCAT entry test, mcat format, mcat mcqs, MCAT Merit list, mcat result, mcat score, MCAT test, MCAT test answer key, MCAT test answer key 2017, MCAT test answer keys, MCAT test answer keys 2017, MDCAT, MDCAT 2017, MDCAT answer Key, MDCAT answer Key 2017, MDCAT answer Keys, MDCAT answer Keys 2017, MDCAT Biology, MDCAT Biology explained MCQs, MDCAT Biology MCQs, MDCAT Chemistry, MDCAT Chemistry explained MCQs, MDCAT Chemistry MCQs, MDCAT English explained MCQs, MDCAT English MCQs, MDCAT English syllabus, MDCAT entry test, MDCAT explained MCQs, MDCAT Merit list, MDCAT New Syllabus, MDCAT online MCQS, mdcat result, mdcat score, MDCAT solved MCQs, MDCAT solved papers, MDCAT test answer Key, MDCAT test answer Keys, MDCAT test answer Keys 2017, New UHS MCAT Syllabus, Ounjab private sector second merit list, Past Papers UHS MCAT, Past Papers UHS MDCAT, Preparation of Document for UHS MCAT, punjab mcat, Punjab MCAT 2015 Online Preparation, Punjab MCAT Biology MCQs, Punjab Mcat format, punjab mcat mcqs, punjab mcat merit list, Punjab MCAT Past Papers, Punjab Mcat result, PUNJAB MCAT Score, Punjab MCAT Solved Papers, Punjab MDCAT Biology MCQs, Punjab MDCAT Chemistry MCQs, Punjab MDCAT English MCQs, Punjab MDCAT Physics MCQs, Punjab Medical Admission UHS, punjab second merit list, Punjab UHS MCAT, Punjab UHS MCAT Syllabus, punjabmcat, Sample UHS MCAT MCQs, Solved UHS MCAT past papers, Third merit lish UHS, Third merit list, UHS, UHS Admission, UHS Admissions, uhs answer key, uhs answer key 2017, uhs answer keys, UHS BDS third merit list, UHS Biology MCQs, UHS Chemistry MCQs, UHS Chemistry New Syllabus, UHS Chemistry Syllabus, UHS Entry Test, UHS Fee, UHS MCAT, UHS MCAT 2013, UHS MCAT 2014, UHS MCAT 2017, UHS MCAT Aggregate Score, UHS MCAT Biology MCQs, UHS MCAT Chemistry MCQs, UHS MCAT Dates, UHS MCAT Documents, UHS MCAT English MCQs, UHS MCAT MCQs, UHS mcat merit list, UHS MCAT Online Preparation, UHS MCAT Past Papers, UHS MCAT result, UHS MDCAT, UHS MDCAT 2017, UHS Physics MCQs, UHS punjab merit list, UHS result, UHS secont merit list, UHS test answer key, UHS test answer key 2017, UHS test answer keys, UHS test answer keys 2017, UHS Test format, UHS test result, UHS third merit list, UHS upgraded MBBS list on December 29, 2018 by Pakprep.com Admin.